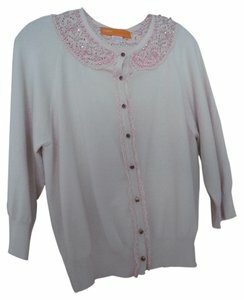 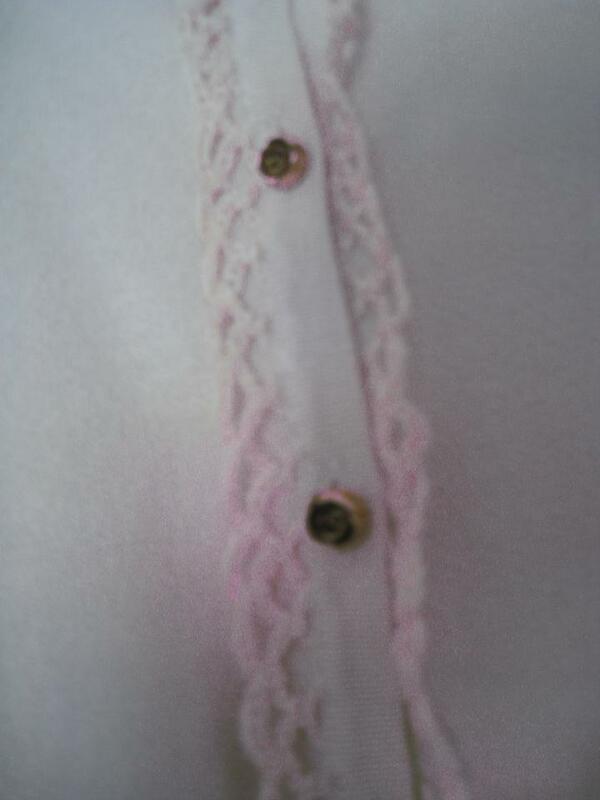 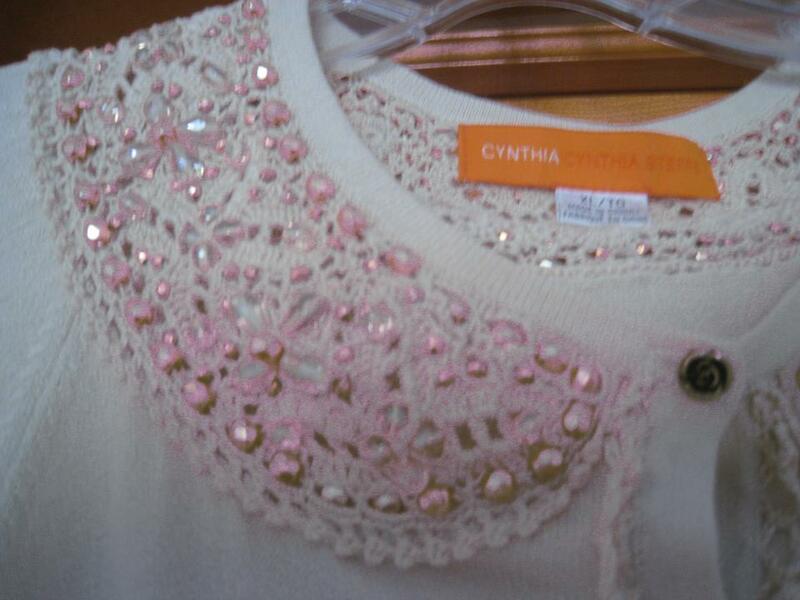 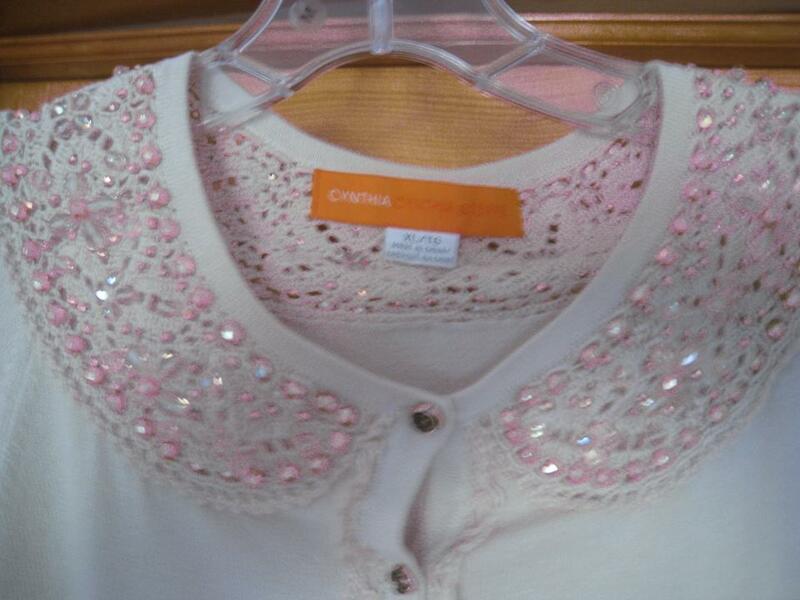 Viscose, nylon and cotton combination this beautiful Cynthia Steffe cardigan is neutral light color, 3/4 sleeves and crocheting front trimming plus make a illusion round collar , beaded in light gold and clear beads. 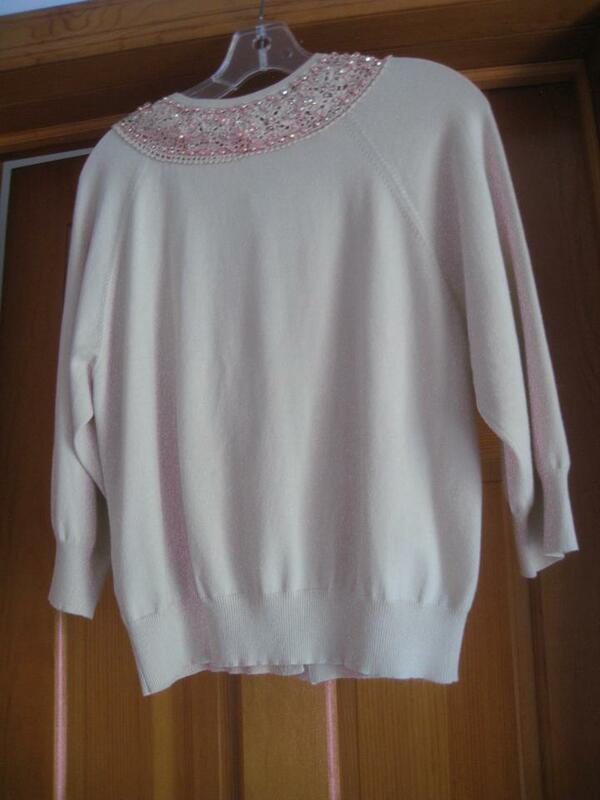 Tag shows a size XL but this sweater fits more like10-12 . The measurements :22" long; 17" in shoulders; 17" sleeves length; 19" across when lying flat ; 16" wast .Worn twice ,no visible sign of wearing.